Trump-inspired apps should get their own category on the internet – but the latest one to is about to make Trump memes great again. 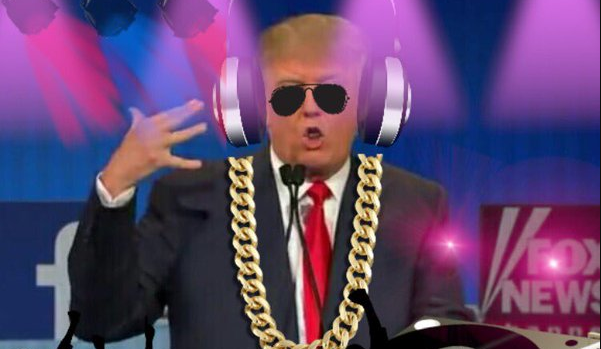 Available for Android as well as for the web, DJ Trump is a hilarious video mixing app that lets you put words straight into the President’s mouth. All you need to do is type out the message and the app will shortly stitch together a clip of Trump delivering that same statement. Creators Erik Westland and Phil Hu say the app currently has a vocabulary of approximately 4500 words, which gives you a reasonable arsenal of words to work with – and frankly you can get pretty creative with it. The maximum length of a single video is 50 words. Westland and Hu have also set up a feed of videos created inside the app. You can see how people have been using the video mixer by clicking here. Co-founder Hu said the app has been popular with both supporters and naysayers. “We’re glad that this is able to offer broad appeal,” he added. Now click here and start making Trump memes great again!